Welcome to the third installment of our Great PPVs series, here at Enuffa.com and TheGorillaPosition.com! I hope you've enjoyed this weekly trip down nostalgia lane so far, as we reminisce about wrestling PPV events that transcended the genre and elevated the art form. Today I'll be talking about a much more recent PPV, one that took place only three years ago but made a huge difference for me as a wrestling fan and likely had a similar effect on many of you. I'm talking about NJPW's WrestleKingdom 9, which emanated from the legendary Tokyo Dome on January 4th, 2015. WK9 was the first NJPW event to be shown on North American PPV systems and also served as the ribbon cutting show for the brand new NJPWWorld.com (New Japan's answer to the WWE Netowrk). Prior to this event you could order NJPW shows on iPPV, but the North American audience for this product was scarce at the time. What drew me to this show was not only the incredible buzz the New Japan product was getting, but the fact that Jim Ross would be returning to the broadcast booth for the first time in years. That JR was lending his unparalleled announcing talents to a non-WWE show was of considerable significance and it gave the whole thing a must-see feel. Unfortunately the only way you could get the English commentary was by ordering the show on traditional PPV, so for my first viewing I'd have to settle for the Japanese version on NJPW World (I've since become pretty fond of the over-the-top Japanese announcing despite the language barrier, but it took some getting used to). But no matter, the anticipation going into this show was quite intense for New Japan fans, largely due to the hugeness of its main event - an IWGP Title rematch between the company's Ace, Hiroshi Tanahashi (essentially the John Cena of New Japan but with more of a Shawn Michaels in-ring style) and the heir apparent to lead the company into the next decade, Kazuchika Okada. As I would learn, these two had built a stellar rivalry over the previous three years and delivered numerous Flair-Steamboat-esque classics. The expectation was that this show would be the passing of the torch to the new face of the company. My first viewing of WrestleKingdom 9 was a little strange since I knew very few faces on their roster. Obviously AJ Styles was more than familiar to me, but aside from Kota Ibushi, Alex Shelley and The Young Bucks (all of whom I'd seen wrestle for Ring of Honor a few times) I didn't really know anyone else. So initially all I had to go on was the match quality. My appreciation for this show wouldn't fully emerge until I'd perused the NJPW library for a few months and then given it a second viewing. And once I knew who the players were and what their matches meant, it was a whole new ball game. The show kicked off with a wild four-way Jr. Tag Title match, as defending champs reDRagon faced the Bucks, Time Splitters (Kushida & Alex Shelley) and Forever Hooligans (Rocky Romero & Alex Koslov). This would prove to be an excellent example of a hot opener, as all four teams worked at full speed to rev up the crowd. After thirteen minutes of furious action, reDRagon retained their titles. Time Splitters and Forever Hooligans would split shortly after this show, as Romero formed Roppongi Vice with Baretta, while Kushida became a permanent fixture of the Jr. singles division. The next two matches were brief throwaway multi-man tags, each of which could've been cut from the show without being missed. The first involved Tomoaki Honma, Hiroyoshi Tenzan and Satoshi Kojima vs. Bullet Club members Bad Luck Fale, Yujiro Takahashi and Jeff Jarrett (whose company Global Force Wrestling was distributing this show in the States, hence his involvement here), and was over in under six minutes. Nothing noteworthy except for Honma getting a rare win, much to the delight of the Dome crowd. The second truncated match pitted Suzuki-Gun members Davey Boy Smith jr., Lance Archer, Shelton Benjamin and Takashi Iizuka against Naomichi Marufuji, Toru Yano and TMDK in a quick five-minute schmozz. Neither of these bouts really belonged on this show, but from match #4 till the end, WrestleKingdom never let up, stringing together a staggering run of memorable, diverse battles. The first was an MMA-style fight between legit tough guys Minoru Suzuki and Kazushi Sakuraba. These two grappled, stretched and beat the crap out of each other for over nine minutes in a match that could only end via knockout, submission or ref stoppage. Suzuki would win this grueling fight with a rear naked choke after Sakuraba passed out. This was Suzuki's final NJPW match for two years, as he enjoyed a successful run in Pro Wrestling NOAH before returning to his rightful place as a New Japan veteran. The violence escalated from there as NEVER Openweight Champion Tomohiro Ishii faced Togi Makabe in an all-out strong style war. This match was appallingly stiff, more or less serving as my proper introduction to true strong style wrestling. For over twelve minutes Ishii and Makabe tore into each other at full volume, providing numerous cringe-inducing exchanges before Makabe emerged victorious with a spider suplex/King Kong knee drop combo. This rivalry would continue on and off throughout 2015 until Ishii finally regained the title that fall. For me this match was the prototype NEVER match, forever defining the division with this brutally stiff fighting style. Next up was the Jr. Heavyweight Title match, as Ryusuke Taguchi became the ceremonial first victim in the long and glorious Kenny Omega push. Omega had been a stalwart of DDT Wrestling in Japan, a comedy-based promotion where he and Kota Ibushi had made their mark as a tag team. Omega's turn away from comedy wrestling began in earnest here, but I was struck by his strong character work and innate heel charisma. Even without knowing either guy it was obvious from the start of the match that Taguchi was playing the role of placeholder for Omega's inevitable elevation as the division's top heel. The match was highly entertaining, if not on the level of today's Jr. Heavyweight bouts, and Taguchi's technical abilities combined with Omega's histrionics made for a compelling outing. Omega would go on to feud with Kushida for most of 2015 (helping to advance the Juniors division immensely) before moving up to heavyweight and taking AJ Styles' place as the leader of the Bullet Club. The rest is of course, history; Omega is now one of the company's very top stars, and this match began his three-year climb. The Heavyweight Tag Chamionship was next as division centerpieces Karl Anderson & Doc Gallows faced strong style experts Hirooki Goto and Katsuyori Shibata. This match was nonstop, hard-hitting action as both teams utilized striking and power offense. The Bullet Club tandem controlled the early going before the babyfaces' comeback. Late in the match all four men got involved, and Goto & Shibata nailed a double GTS, followed by Shibata's Penalty Kick to capture the Tag Titles. Anderson & Gallows would regain the straps a month later but this was a very good, crowd-pleasing match and moment. Goto and Shibata's tag team was short-lived, and both men went back to singles competition. This undercard was noteworthy on its own, but the next three matches formed an absolutely stunning trilogy to close out this PPV. First AJ Styles faced Tetsuya Naito for essentially a spot in the company's "Big Four." Naito had been pegged as possibly the next top babyface to succeed Tanahashi, but his bland persona fell flat with the fans, and one year earlier his IWGP Title match with Okada was voted out of the WrestleKingdom main event slot. Since then Naito had struggled to claw his way back to the top of the card, and this fantastic **** match with Styles was his chance to do so. AJ on the other hand had debuted in New Japan at Invasion Attack 2014 and defeated Okada for the IWGP Title four weeks later, spending several months as the company's top champion before losing the belt to Tanahashi. Both men desperately needed a big win, and that came across in this match, which came to a breathtaking conclusion as AJ hit a second-rope Styles Clash at 14:25 to catapult himself back into title contention. He would regain the championship a month later, while Naito began a heel/anti-hero turn that would convert him into one of the biggest box office attractions in the company. Not to be outdone (and they wouldn't), Intercontinental Champion Shinsuke Nakamura defended next against Kota Ibushi, in a match that for me became THE shining example of NJPW's in-ring product. For twenty minutes Nak and Ibushi put together impossibly crisp combinations of striking, grappling, and aerial moves. Ibushi had previously been a Jr. Heavyweight, and this bout served both as his call-up to the heavyweight division and his coming out party as a legit badass, who took every brutal strike Nakamura could dish out and kept getting up. The pace set in this match was astonishing, and yet every exchange carried weight and consequence. This is one of the most perfect wrestling matches I've ever seen. After twenty insane minutes Nakamura retained with a jaw-rattling Boma Ye knee strike. Ibushi would continue to climb the ranks until a late-2015 neck injury forced him to the sidelines for nearly a year. He'd return to NJPW in early 2017 as Tiger Mask W before finally becoming a top star again in the G1 tournament. Nakamura of course would leave the company a year later for WWE, but to date this is my favorite match of his. Finally we come to the massive main event bout, pitting the IWGP Champion and face of the company against his would-be successor. Tanahashi and Okada assembled an eminently epic, instant classic of a main event that belongs in the same conversation as Austin-Rock II or the two HBK-Taker WrestleMania matches. These two men were born to wrestle each other, and this match somehow topped all seven of their previous bouts, building off those matches and upping the ante. Late in the match both kicked out of each other's well-protected finishing moves, and by the time Tana finally put Okada's quest to an end at the 31-minute mark the audience was shocked and exhausted. Okada sold this defeat like a death in the family, sobbing the whole way back to the dressing room. This is how you put over a World Title; the 26-year-old was so devastated at not winning it back he literally broke down in tears. 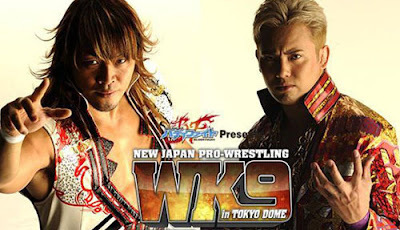 Meanwhile the marquee Tana-Okada feud would see another episode, as Okada regained the IWGP Title six months later from AJ Styles, while Tanahashi won the 2015 G1 tournament, earning a rematch at WrestleKingdom 10. That match would serve as the feud's true climax as Okada finally defeated the illustrious Tanahashi in the Dome, officially becoming New Japan's new Ace. Okada and Tanahashi made magic every time they locked horns, but for me the WK9 main event is their greatest encounter. So let's recap: two spectacular main events, one fantastic semi-main, two ruthless fights, a memorable Jr. Title match, and two very engaging Tag Title bouts. Eight of the ten matches on this show are ***1/2 or better, and the final two get the full ***** monty from me. As I said, it took me two full viewings separated by a few months of New Japan research to fully grasp what I was witnessing, but in the end WrestleKingdom 9 may be the greatest wrestling show I've ever seen. Some prefer WK10 over this one and I can't fault them for it, but for me the variety, the escalation from one match to the next, and the unrelenting quality of the last seven bouts makes this show THE wrestling event of all time. For those of you looking for a starting point to become NJPW fans, this is the show to watch. If anyone ever tops WrestleKingdom 9, I can't wait to see that show. That'll do it for this week's installment - thanks for reading! 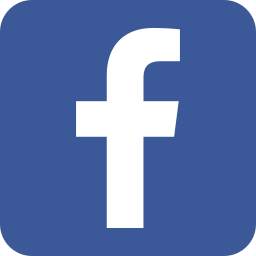 Comment below, and don't forget to join us on Facebook and Google+.